“The last three school inspection updates have included information about our myth-busting work, including drawing attention to the reports from the DfE’s Workload Challenge review groups that looked at marking, planning and data management. As I have said before, marking has proved to be one of the harder myths to bust. In part, this has been because we have continued to report on it extensively at some inspections, especially with reference to areas for improvement in previous inspection reports from some time ago. I remain concerned that we continue to see some inspection reporting which gives the impression that more detailed or more elaborate marking is required, or indeed that it is effective in promoting pupils’ achievement. Inspectors must not give the impression that marking needs to be undertaken in any particular format and to any particular degree of sophistication or detail; the reference to marking on page 10 of the school inspection handbook deals with this. As both the Workload Review group on marking (March 2016) and the Education Endowment Foundation (April 2016) reported, there is remarkably little high quality, relevant research evidence to suggest that detailed or extensive marking has any significant impact on pupils’ learning. So until such evidence is available, and regardless of any area for improvement identified at the previous inspection, please do not report on marking practice, or make judgements on it, other than whether it follows the school’s assessment policy. Also, please do not seek to attribute the degree of progress that pupils have made to marking that you consider to be either effective or ineffective. When reporting, please do not make recommendations for improvement that involve marking, other than when the school’s marking/assessment policy is not being followed by a substantial proportion of teachers; this will then be an issue for the leadership and management to resolve” (OFSTED, 2016, p1-2). You might find this useful to consider in relation to the marking policy of your school and specifically for FDLT year 1 students working on the PDT 1004 Assessment Project. Five year olds not so bad after all! Have a listen to this article on the BBC Radio 4 program More or Less. This is another example of the popular media presenting statistical data and research in one way, and the data itself conveying something else entirely. “Five year olds not so bad after all. ‘Shocking’ stats were revealed this week by the Department of Education. School assessments showed that just under a third of five year olds were below the expected standards for children of their age. But not only are these results not that shocking there is another reason why the statistics are not all they seem” (Harford, 2016, lines 13-19). As a student this is a time when you would go to the data (primary source) rather than the media discussion of the data (secondary source). You will need to create a username and password to access all the materials. There are a number of videos of interest to Teaching Assistants which you can find by searching for ‘teaching assistant’ in the search box in the top right. We will sometimes suggest that you watch a Teachers’ Media video as background to a taught session so it is useful for you to be able to access it from now on. If you are joining FDLT year 1 in September you might be thinking about getting organised. Most of you will be studying the five modules shown to the right. You will be introduced to our virtual learning environment, NILE, where the resources for sessions are uploaded for you to access. It is useful to set these folders up in ‘my documents’ on your computer so that you can download resources into them. I hope you are all enjoying the last few days of the summer break before returning to school. As well as going back to school you will also be thinking about either starting or continuing your university course. If you are starting the FDLT course in year 1 your sessions begin in week beginning 12th September. The course leader, Abbie Deeming and I (Jean Edwards, Admissions Tutor) will be in touch by email soon and you will also be receiving emails from the University. Please note that FDLT students are not involved in Welcome Weekend – that is for students who are coming from further afield to begin university life in Northampton. If you are coming into year 2 your course starts in week beginning 19th September. 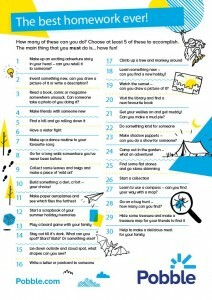 As schools break up for the summer thought will be given to encouraging children to keep learning over the holidays. years since the birth of Roald Dahl. It could be fun to get the children to design their own list of homework for each other! Whatever you choose to encourage children to do, or do yourself make sure you have some fun and have a rest! The name of this mission is Principia and during his mission Tim Peake will be undertaking science experiments and research on the space station. There are school activities based around science and technology running alongside this mission that could be interesting and inspiring to follow and join in with. These resources can accessed here. Tim Peake has a website which can be accessed here. You can follow him on Twitter @ASTRO_TIMPEAKE If you scroll through his twitter feed you can that there are so many children and schools being inspired by his mission to the ISS. 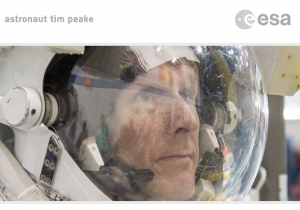 You can follow his blog for posts about life and work on the ISS here: Tim’s blog. Welcome to our 5-week Teaching with Tablets course. 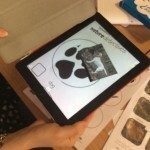 This is an interactive and participatory online course on how to make effective use of iPads and tablets for teaching and learning. Our course is aimed at educators across all levels, from Primary to Higher Education, from NQTs to experienced practitioners. Anyone with an interest in the field is very welcome. It is a flexible online course that you can join in with at a pace and depth that suits you. We will suggest activities and ideas and encourage you to try them within your teaching. We would like you to leave each session with a new idea to try out in practice and then share your experiences on the Google+ community. 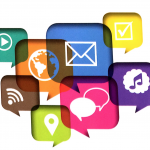 In turn you can learn from the experiences and gain ideas from fellow professionals. There will be a new theme and suggested activities each week. You’ll be able to earn digital badges for joining in with these and there will be an option to purchase a verified certificate. We will begin each week by sharing readings and browsing from our book, ‘Teaching with Tablets’. Then we will suggest some activities that help you plan to put some of the ideas into practice with your own learners. One of the most exciting aspects of the course is the chance to share and reflect upon these co-created resources with our community of fellow practitioners. Real life examples, photos, videos and comments within the community will give the course a truly practical focus. You can also follow us on Twitter and use the hashtag #TWT16 to see what others are posting. We will be hosting a weekly Tweetchat during the course. The idea is to take a few risks, try some new things, share our developing practice in teaching with tablets and learn together as we go. 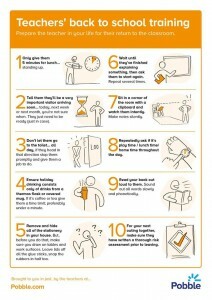 In order to get some ideas before the course starts, you might like to take a look at this infographic. 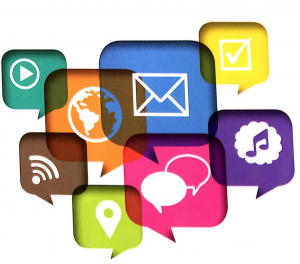 If you are a Teaching Assistant and / or an aspiring teacher this course will support your understanding and practical application of digital technology in the classroom – a useful thing to have on your CV for future applications for jobs and courses. Please note – if you are an existing or past student at the university of Northampton you will need to create a separate account for Open Blackboard as it is not the same the Blackboard NILE that you are / have used. From May the 11th you can sign up to the Massive Open Online Course (MOOC) called Let’s Teach Computing. 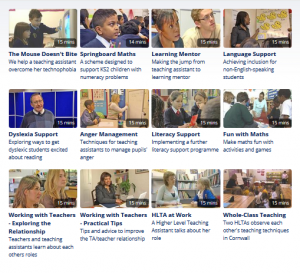 Let’s Teach Computing is a Department for Education funded MOOC (Massive Open Online Course). It is a free online six week course that will help you to deliver the primary computing curriculum with confidence by sharing practical ideas that you can use immediately in your teaching. The course has been developed by senior lecturers in Initial Teacher Education, classroom practitioners and trainers so it is full of tried and tested activities that use equipment found in most primary classrooms and free to use software. Get to grips with the use of the terms like algorithm, abstraction and computational thinking. Identify how computational thinking can be embedded in good primary school practice. You can access the course content for each week at any time once it is released. We suggest that in order to get the most out of the course that you spend up to 3 hours a week. Throughout the MOOC you will be creating and sharing resources through a Google Community that you will have access to after course. You will have the opportunity to develop networks with other teachers and continue to share and collaborate. One of the writers of this course is Helen Caldwell, a Senior Lecturer in our School of Education here at the University of Northampton. This is a wonderful opportunity to improve your subject knowledge and confidence in this very new area of the primary curriculum. Go to the link above to find out more and sign up for the MOOC. This is useful for using to create resources for school use and for using in student work such as in presentations or creating digital artefacts that use photos. In the session we explored collecting images and placing them on Pinterest boards, grouping images together in arrangements using webtools and apps such as Fotor, PicMonkey, PicCollage and Moldiv. Having made collages it is them possible to make the pictures interactive by using them as a basis for creating ThingLinks. here is an example of a ThingLink I made that explores the kings and queens of England from 1066 to the present day. You can easily send a ThingLink to other people via social media or from a link. It is worth exploring the ThingLink website to see examples of how others have used it to support learning. You can sign up as a teacher. 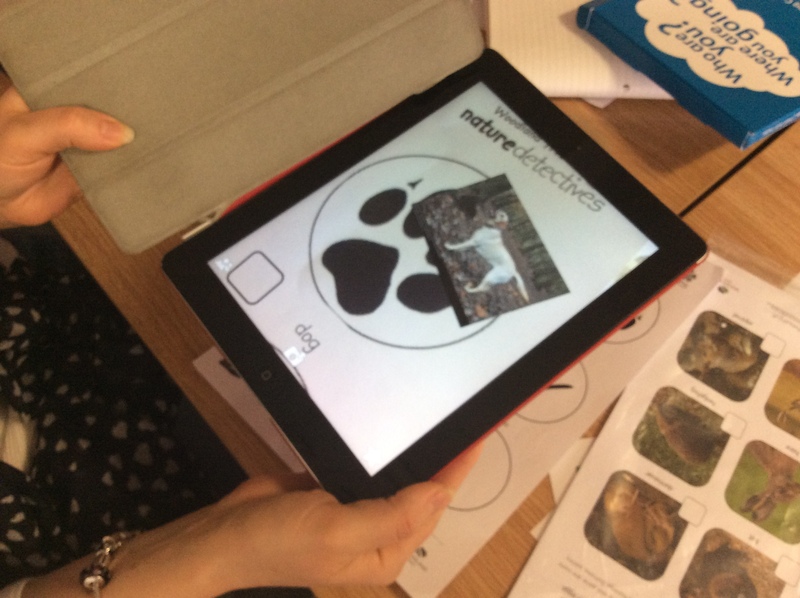 We also looked at ways of using QR code makers and scanners to access images, and best of all, we used Aurasma to reveal images linked to objects and pictures. The way that a video or image can appear on a phone or tablet as if by magic is quite captivating and would appear to have many uses in education. I made an example based on creatures’ tracks where a picture of the animal would appear linked to each track. If you have any examples of using them please add them to the comments below.